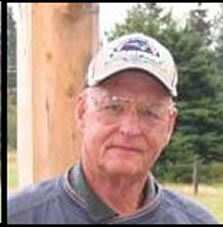 Raymond James Nile ended his battle with cancer at his home on Sunday, April 26, 2009. Those who knew and loved Ray knew that he lived his life with strength, dignity, courage and humor, and battled his cancer in much the same way. Ray Nile was born at home in Langtown Plantation, Maine, on Sept. 28, 1939. He attended Stratton and Kingfield schools, and graduated from Stratton High School in 1958. Throughout his boyhood, he hunted and fished and worked at logging in the woods of Maine’s Western Mountains, learning alongside his grandfather and uncles. After high school graduation, he worked full-time in the woods before enlisting in the U.S. Air Force. He trained extensively in radio repair, and served in Evreux, France in the 317th Air Support Group. Although that airbase was eventually closed, the airmen who served there continue to hold regular reunions, and Ray delighted in traveling and meeting with his fellow servicemen. Upon returning to the U.S. and civilian life, Ray was employed by IBM in Boston in the Field Engineering division, starting as a Field Engineer, and retiring after 30 years as a Service Manager. His expertise and skill continued to be sought out, and he worked at Northeastern University in Boston as a Fiber Optic Network Manager. Ray retired again in December 2006, and took up his battle with cancer in January 2007. Ray married Laurie Jo Scribner on December 27, 1958, and together they raised four children. Their marriage ended in 1979. Eventually, Ray met Susan Kowalczik and they married on Nov. 25, 1989. Ray and Sue divided their time between residences in Pembroke, Mass. (during the workweek) and Clinton, Maine (on weekends). Ray was perpetually active, whether working at his job or on a project at home, or bringing a lively and competitive spirit to his recreational pursuits, particularly golfing, riding his Harley Davidson motorcycle, and gardening. He loved to travel to Myrtle Beach, S.C. on golfing excursions, and he and Sue were very happy to purchase a home in Florida, where he looked forward to golfing, dining, and tooling around in a golf cart. Even while fighting cancer, he golfed, gardened and traveled to Florida when he was able.